Avengers: Endgame will result with the culmination of over 20 major marvel films coming to a conclusion all of which started with the legend himself, Tony Stark. It sparked what became the Marvel Cinematic Universe and arguably created one of the biggest fandoms to date. While the Russo Brothers are about to give us all the joy and glory we have been patiently (or not so patiently) waiting for, we’ve never been more prepared to endure such a ride. 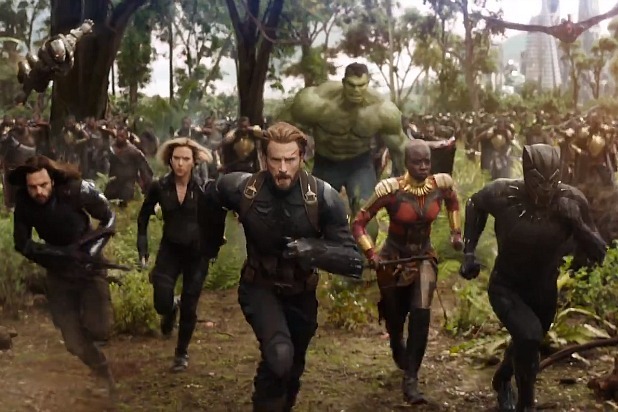 We are reunited with the entire cast, who headed out to war against super villain Thanos resulting in half of the population dissipating. Without giving too much away (because we don’t want to be the source of spoilers) we are aware that some survived while others didn’t. Although with the introduction of Captain Marvel, we are curious to see if she will make her way into the mess and how she will play a role. We will be gifted with over 3 hours of content and the anticipation is getting to us! There’s absolutely no doubt Endgame is about to break several box office records next weekend hopefully leaving us satisfied with a great ending. We’re not too sure what Endgame will bring us, but we know what we can deliver to you. We know you might indulge in watching some of the previous films to mentally prepare for the new one, so we ave gathered a few products you might need to have a successful marathon! You’ll thank yourself for quenching your thirst with this Hulk Color Changing Glass! See as the Hulk appears when you pour yourself a nice cold drink, just make sure not to smash it while enjoying all the thrills of the films. Or perhaps you want to show your fandom with some sweet gear. Take a look at these Infinity War Lenticular Pins and add them to any article to show all your pride. And of course, the Gauntlet might be damaged, but this Gauntlet shaped mug is fresh outta the box ready to be your saving grace for a sweet cup of joe. We pride ourselves on being a trusted Marvel wholesale gifts retailer, so take a look at the full range here and we’re sure you’ll find it the perfect one-stop-shop for all your Avengers needs.